It is becoming increasingly evident that Canada and most of the world will not come anywhere close to meeting the Paris climate targets meant to avoid the danger of global warming of more than 1.5C above the pre-industrial period. More urgently, the recent IPCC report warns that we have a shrinking window of only twelve years left to drastically reduce carbon emissions in order to limit the more catastrophic effects of climate change. Yet, in Canada, even the modest efforts of the Trudeau government to impose a nationwide price of $20 per tonne on carbon has been met with vociferous resistance from right-wing provincial governments. Conservative Manitoba premier Brian Pallister recently pulled his province out the federal carbon pricing plan. Pallister, along with Ontario premier Doug Ford and Saskatchewan premier Scott Moe, now form a right-wing trinity of opposition to Ottawa’s plans for a national carbon price, further eroding the ability of Canada to meet its Paris climate commitments. In Saskatchewan, premier Scott Moe has led the charge against the much maligned carbon tax, taking any and every opportunity to castigate the federal climate policy as “economic poison” for our province. While we might lament Mr. Moe’s crusade against this most modest of climate change policies, we also shouldn’t be surprised. There is little to no downside for most Western Canadian politicians to oppose a mandated carbon tax imposed from Ottawa. Indeed, Mr. Moe appears to have staked his premiership on it, talking of little else. For Mr. Moe and other conservative politicians, climate policies (carbon prices or otherwise) are viewed entirely through the prism of cost; what will this cost the oil and gas industry? What will it cost agricultural producers? What will it cost our export markets? We can argue about how short-sighted this is in regards to the urgency of tackling climate change and its associated future costs, but the point remains, in the minds of politicians like Mr. Moe, there is currently no economic cost to opposing a carbon tax. This brute calculus needs to change. For those states that do adopt aggressive climate measures, what is the incentive to continue with them if others can simply free-ride on their achievements? Why should some governments continue with these efforts if others refuse to abide? As the gap between climate leaders and laggards grow, and the urgency for concerted action increases, the idea of carbon sanctions may be the only way to ensure good faith efforts on the part of all governments to reduce their emissions. Such sanctions would impose countervailing tariffs and duties on products from recalcitrant states that fail to meaningfully cut emissions. One of the central weaknesses of the Paris agreement is that it does not currently include any sanctions or penalties for countries that fail to comply. Such penalties are not unknown to environmental agreements. The successful Montreal Protocol that eliminated ozone depleting substances included trade sanctions against non-signatories in order to incentivize them to join the treaty. Indeed, certain signatories to the Paris agreement considered the idea of a carbon tariff in response to the Trump administration’s decision to withdraw from the agreement. Such a sanctions regime could fundamentally transform the current debate over carbon pricing and climate change in Canada that seems to be moving nowhere fast. While the Trudeau government looks to have the power to impose a carbon tax on the provinces, we can imagine that conservative opponents will continue to attack carbon pricing and other carbon reduction measures as an undue cost well into the future if the current cost calculus remains. By imposing a clear economic cost to not reducing emissions, the incentives for an export-oriented economy like Canada to reduce emissions would radically change. Concerns about loss of competitiveness in international markets between those that adopt rigorous climate measures versus those that do not would virtually disappear. No longer would politicians like Mr. Moe be able to characterize carbon pricing and other regulations as “economic poison.” If anything, under such a regime, it would be economic poison not to adopt stringent measures to reduce emissions. It could also transform how Canadians view carbon reduction efforts within the country as well. As Barry Saxifrage observes, from 2005 to 2015, the majority of Canadian provinces actually reduced their climate pollution by 15 percent. This would be good news if it wasn’t for the fact that those gains were wiped out by Alberta and Saskatchewan who collectively increased their pollution by a similar amount. Under a sanctions regime, there would be much more pressure from within the country for recalcitrant regions to reduce emissions, as failing to do so could have economic ramifications for the rest of the country. Faced with the prospect of a carbon tariff applied to all Canadian goods, the federal government would have to be be much more proactive in ensuring that all regions of the country were meeting their targets. Moreover, for more fossil-fuel dependent regions of the country, this could mean massive federal investments in energy transition and infrastructure than are currently on offer. Certainly, such a regime is nowhere near a reality. But as the distance between climate leaders and laggards grow, calls for some sort of penalty to police recalcitrant nations will grow. Even the mere possibility of future sanctions against those that fail to meet their climate commitments may be enough to move beyond the current impasse. As the IPCC report illustrates, it is glaringly apparent that the current system isn’t producing anywhere near the results we need. The threat of an inhospitable climate future has not been able to overpower the narrow economic interests of many governments and politicians. 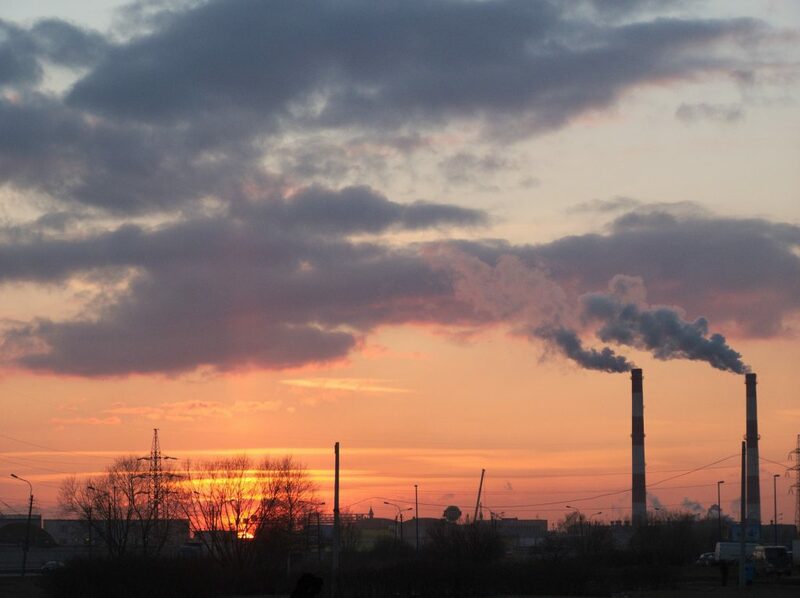 Carbon sanctions may be one way to finally align both our environmental and economic interests.